Eliminate the head on fermenting beer and brew a larger quantity in your existing fermenter. 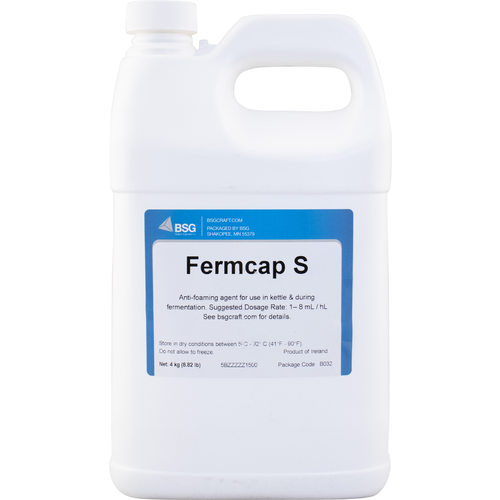 Foam control - also known as FermCapS - does not affect the head on your finished beer, but can actually increase the head by retaining head-forming compounds that would have been blown off during ferment. It will settle-out of beer before bottling or kegging as it is actually absorbed onto the surface of the yeast cells and filter media. Add two drops per gallon at start of fermentation. Comes packaged in a very handy eye dropper bottle that allows for easy use. 1 oz is good for about 50 x 5-gallon batches of beer. Also available in bulk 1 gallon size. Note: Keeps best when stored in the refrigerator.